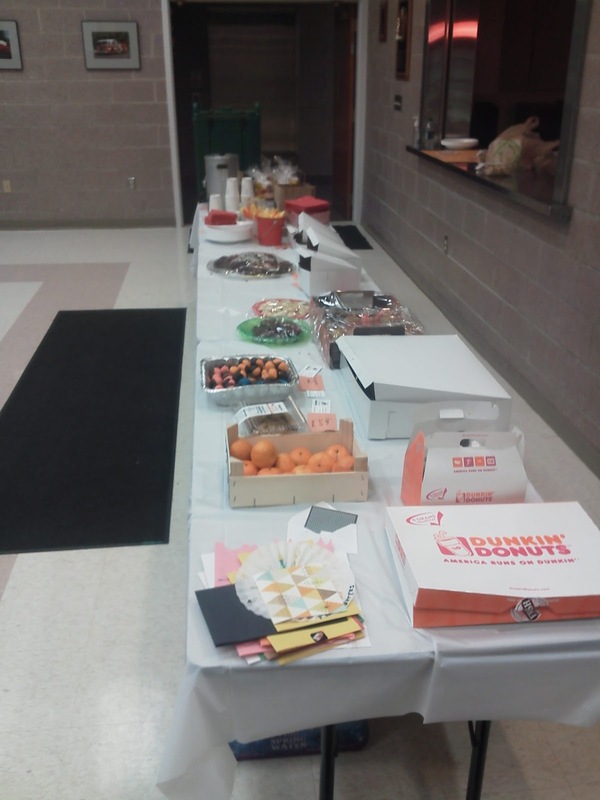 Volunteers were treated to a surprise for the Tuesday night drill when members of the Penfield Mom's Club provided several items ranging from homemade cookies and brownies, to donuts and coffee and other treats that were either discounted or donated from local business. There was also an anonymous donation of 3 sheet pizzas from a person who wished not to be identified. 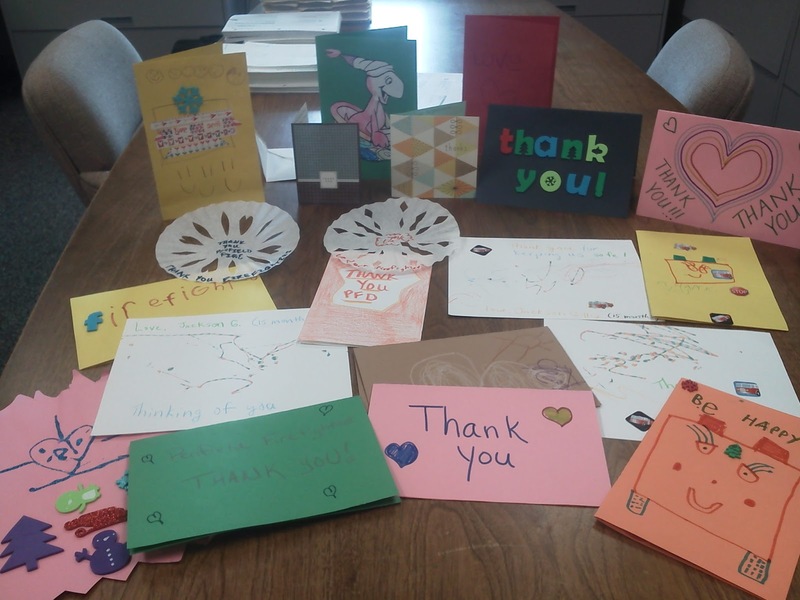 Along with the treats were heartwarming thank cards in which words can't describe. The generosity was truly appreciated by the volunteers who had a chance to grab a quick snack prior to the hour long OSHA Safety Drill lecture. The outreach of the community reminds us why we do what we do, that warm reach of humanity of those that care and depend on us to make a difference. We sincerely thank the Mom’s club and all those who donated there items, time, and hard work to put forth these gifts and treats. Receive this gesture of thanks, for the service you do. Far too often a day will pass, a thank you is never given. You cry and mourn not alone, the loss is ours to share. Acts of kindness and overdue thanks, this is to be given and it starts with me. Know that love is with you my friends, may God watch over you, stay safe and stay well.